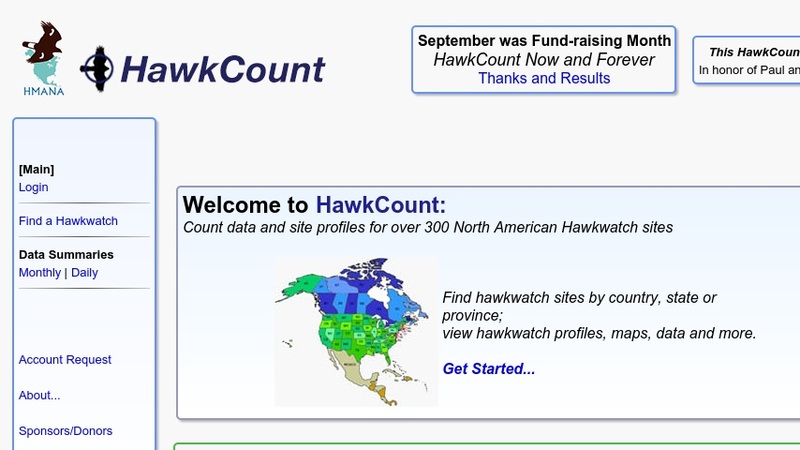 HawkCount is an online database that facilitates the tracking and reporting of raptor migrations. It includes site reports from hawk-watch sites in Mexico, the United States, and Canada. Materials include an interactive map that provides links to hawk-watch sites; location maps and general information on watch sites; a summary of recent reports; and day and monthly summaries of counts by site.